Without an anchor, some 20 or so tenants at Moanalua Ethnic Village are worried about their future, even though none of their leases are up. Many of them, like Alma Pagdilao, a saleswoman at 99 Jewelry Mart, have been at the location since the days when 99 Ranch Market opened. 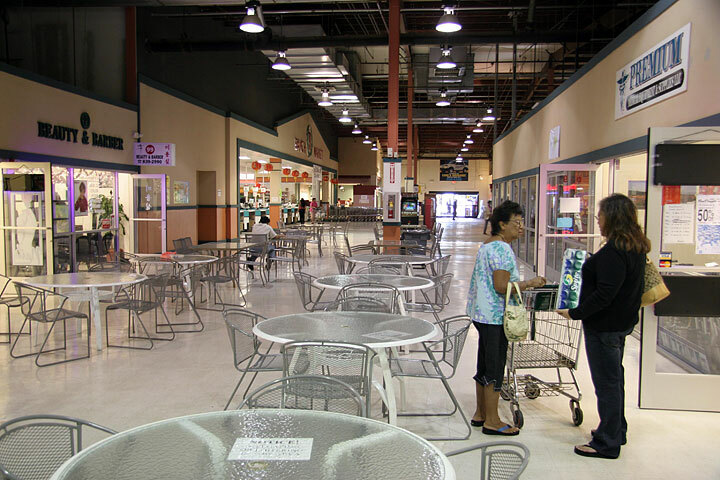 Pagdilao says shopping traffic has slowed down significantly since the announcement of 99 Ranch's closure in December. If a new buyer doesn't come in, then the owner of the Jewelry Mart may consider relocating. 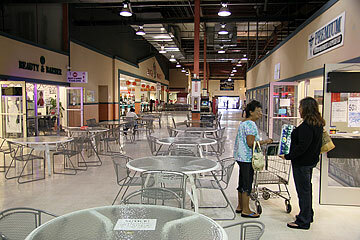 The vendors lease their space from Honolulu Warehouse Co. Ltd., which also owns the 99 Cent Store. Kyeung Le, the Korean owner of Good Day Factory Outlet, a fashion boutique across from 99 Ranch, said business has been slow, but that he plans to keep his doors open. Leigh Kadooka, owner of a new tea shop called Bibbitea Bobbitee Brew, said she was stunned to hear of the supermarket's closure. Kadooka had just signed the three-year lease in September to start her new business. "We didn't know about them closing," she said. "I was surprised." Kadooka, however, says she'll wait and see how it goes after the closure. A lunchtime crowd still trickles in during the day. In the evenings, drivers pull off from rush hour traffic from the freeway to get dinner from the food court.